Mansion Hill Home with Views of Downtown! Gorgeous 3 story brick home in the Heart of Newport. Walk to the soon to be newly renovated Levy!!! Home has been fantastically designed for todays modern, yet maintains historical chareristics! Exposed brick, Gorgeous hardwoods throughout! Modern, Custom designed finishes! 1st floor Master with en Suite. 2nd floor also features 2nd master with en suite. Oversized bedrooms. Fantastic custom designed closet. 3rd Floor boasts full bath for Guest Suite, playroom, studio. Backyard custom designed for privacy and entertaining. Antimicrobial yard for pets! Directions:Newport on Levee to Washington, left on E 6th, Left on Park, R on Lexington, Left on 3rd. SchoolsClick map icons below to view information for schools near 536 E Third Newport, KY 41071. Listing provided courtesy of Keller Williams Advisors. Home for sale at 536 E Third Newport, KY 41071. 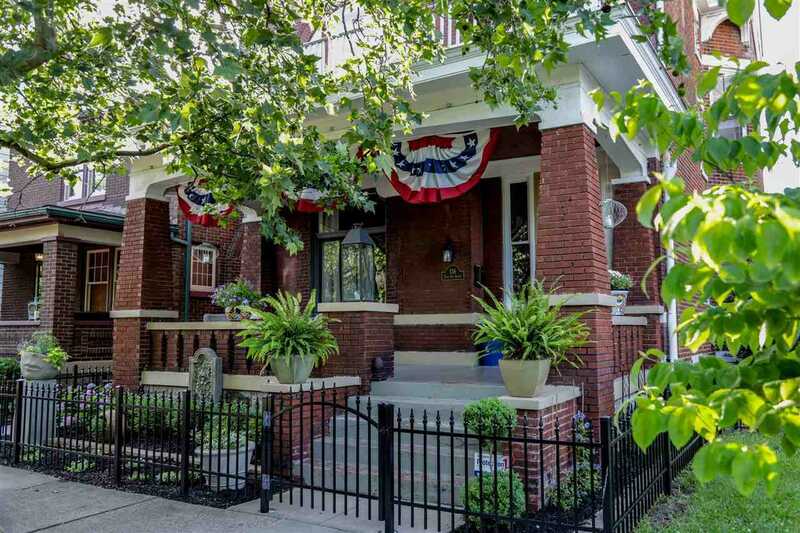 Description: The property at 536 E Third Newport, KY 41071 with the MLS# 523199 is currently listed for $458,500 and has been on the Newport market for 93 days. You are viewing the listing details of the home for sale at 536 E Third Newport, KY 41071, which is located in Campbell County and features 4 bedrooms and 5 bathrooms.